A recent claim that Tolkien was somewhat racist is seriously misguided. If you want to damn someone these days you call them racist, or one of a set of pejorative boo words that roll easily and simplistically off the tongue. Accompany this with some analysis, superficial or otherwise, of what he or she has written and off you go. In the last day or so the Times, a leading British newspaper, [27th Nov 2018] gave scope to a claim that J.R.Tolkien, the master of fantasy, was a racist, albeit not an extreme one.Is this true? Image courtesy of Scarlett _Letter. 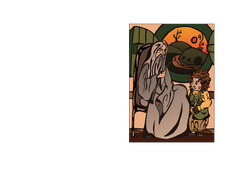 The image shows A hobbit and Gandalf. Tolkien was an expert on philology, the study of sounds, and he studied this subject partly through the medium of myths. His study encompassed the myths of many nations, though he concentrated upon the myths of the European peoples. The Finnish myth of the Kalevala fascinated him. He delved deeply into Celtic myth, a delving that was reflected in the Silmarillion's recounting of the westward journey of the elves over the ice, which was drawn from the Irish myth of the coming of the Tuatha de Danaan from the West; and he pored long over Germanic myths. Tolkien shared with Jung a belief that myths were vehicles by which great truths of human life were expressed, and this means that they are culturally,morally and religiously important.Tolkien would never say "only a myth." This is one of the reasons for his hatred of Naziism. Tolkien detested the works of Wagner, Hitler's musical hero, because of his corruption of Nordic mythology. He saw the dangers inherent in the corruption. For this reason, along with many other, he despised the poisonous rantings of Hitler, who used Wagner's twisted mythology to support his demonic cause. 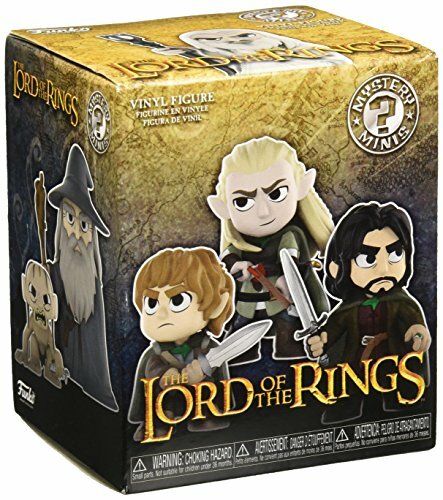 Therefore,the claim made by Andy Duncan in A Geeks' Guide to the Galaxy podcast [reported in The Times by Will Humphries] that Tolkien's heroes are all white and western and that therefore there is a degree of racism in his work must be taken in a qualified way and set against his general opposition to Naziism and its racist philosophy. Humphries informs us that in 1938 Tolkien refused a request from his German publisher to confirm his Aryan descent. This is not the action of a racist. In fact, Tolkien's heroes, the hobbits, are subtly anti-Nazi. Naziism elevated the Aryan race over all other races, classing Aryans as Herrenvolk, noble people, promoting a belief in the superiority of Aryan blood. Aryans were classed as tall,fair skinned people with fair hair that hung limply without curls, and their body hair was quire sparse, unlike the darker skinned Latin races, who were thought to be hirsuit. Compare this to the hobbits, who are described in chapter 1 of The Hobbit as having brown curly hair, hairy feet [there, the body hair!] and brown fingers. The implication is that the hobbits were brown skinned.Unlike the supposed warrior Aryans, who were tall, hobbits are merely three feet tall and prefer avoiding trouble to fighting. It should be clear that Tolkien is in his work challenging racial stereotypes with a slightly comic alternative; and we can see that Andy Duncan's claim that Tolkien's heroes are all white immediately fails. Furthermore, the Lord of the Rings is anti-Wagner, whose Nibelung saga is about the heroic quest to find a ring of power. The two hobbits, Frodo and Sam, are involved in a far greater heroic quest to destroy the ring of power. This ring magnifies the will of the one who wears it, but corrupts in the process. In telling of the destruction of this ultimate weapon, which is of diabolical origin, Tolkien is demonstrating a hostility to the Nazi cult of the will. We can sense in the book Tolkien's revulsion at the infamous Nazi propaganda film, The Triumph of the Will, produced by Hitler's film maker Leni Riefenstahl. It is clear that the claims of racism are in these areas unfounded. Duncan's case is made on the basis of a letter written by Tolkien in the nineteen fifties, which describes the orcs as slant eyed. They are seen to be like the oriental races, but this claim is overstated. 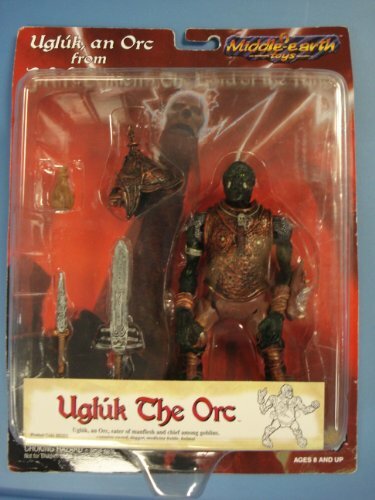 The orcs were never human, for the Silmarillion tells us that Morgoth, the first Dark Lord, bred them from captured elves. His evil caused him to breed an ugly and clumsy species, into which he bred a fierce loyalty to himself. The orcs in Tolkien are enemies of the good and also victims of evil. The elves were a malleable folk, whose nature was capable of unlimited corruption, whereas in Tolkien's view humans were not, so there were no orcs derived from human stock.Thus the orcs are not oriental races or even cave folk. Yet one of Tolkien's ideas is oft-overlooked. It is that evil produces distortion and ugliness. The dark speech of Mordor is grating and ugly, whereas elven tongues produce music and poetry . Morgoth's evil character, despite is high powers, cannot produce beauty, but always something twisted and unattractive. 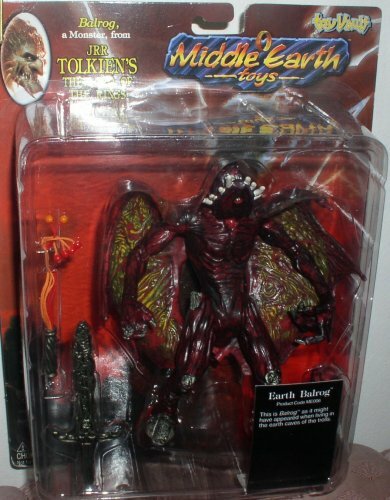 Tolkien, a devout Roman Catholic, believed in the existence of a moral order in the world that orientated it towards God and thought that without divine orientation no good would come, thus for Tolkien Morgoth's attempt at a creation autonomous of the deity, Illuvator, was doomed to be skewed and malformed. Tolkien, devoutly Catholic, would never have regarded any members of the human species as the products of an evil power, for this would fly in the face of Catholic teaching. The church does not accept that any race is superior to another. One of the claims that Tolkien was racist rests upon the claim that his heroes are white. Well, they are in the films, but the books are unspecific about the heroes' colour and as we have seen hobbits are brown. But the story is set in the west of a large continent at whose centre lies a totalitarian dictatorship behind a curtain of mountains. It is easy to see the Soviet Union here. The heroes' lands are plainly Western Europe. There are definitely identifiable races in The Lord of the Rings.The Rohirrim are idealised, horse riding Anglo-Saxons,hence white. However, political correctness is plague upon literary criticism and culture in general, so no useful purpose is served by speaking of the whiteness of the heroes. Yet the Times article implies that Tolkien implies that some races are more prone to good than others are. But no Roman Catholic or Christian could say this, for the flaw of original sin affects all nations equally,so Tolkien could not be implying it. Moreover, we find in Tolkien that members of the hero races can go wrong, as can members of the archangelic and angelic orders of the Valar and the Maia. The Silmarillion narrates the tale of how the noble Numenoreans, once friends of the Valar, became corrupt under the influence of the demonic Sauron, leading to their destruction, with only a remnant remaining to return to the lands of Middle Earth. The Return of the King tells us that there even Dark Numenoreans who took the side of Sauron, the Dark Lord. The Witch King of Angmar was of Numenorean stock corrupted by Sauron. So much for the idea that Tolkien thought some races better than others. Up to the nineteen sixties people still thought in racial terms. I can recall reading at that time in a school textbook that the European population could be divided into the Nordic, Alpine and Mediterranean races. I wondered why my wonderful and enlightened History and Geography teacher never used that chapter. Now I know. He knew that what it said was bunkum. Tolkien would have had some concept of race, but it is not significant in his works. He is definitely not a racist. Celtic societies were tribal and very warlike, but racism on grounds of ethnicity was not present. frankbeswick, Thank you for the explications of J.R.R. Tolkien's ring trilogy. It's perhaps to be expected to try to understand the past by the present's standards even though that may lead to the misunderstandings that you mention. I mean no stereotyping in saying that I tend to think of Celtic culture as non-racist in its bases, such as those that J.R.R. Tolkien undoubtedly uncovered in all his research. My research suggests that anyone who could speak a Celtic language traditionally was considered Celtic in Celtic societies. How would that be racist? Racism needs to be clearly defined. Making a comment about someone's race isn't necessarily negative. A relative of mine admonished me severely when she asked if my 2 year old grandson was talking yet and I said well he does but it sounds like Serbo Croat to me. My grandson was non understandable at that age. I wasn't being negative about the Serbo Croat language or people. ( i don't speak Serbo Croat ) I don't think that any race is inferior. We are all equal in my eyes. People are too quick to jump on the " racist " ticket. This in itself pushes true racism on a back burner. You have undertaken a difficult topic, one that justice requires going against political correctness, and done a credible job. You wisdom and depth of thought here is rare to find. well done. You have brought up a new point in Tolkien studies. It is what part the Old Testament played in his thought. Your comment hits the nail on the head. Well said. I can tell a tale. Manchester Education Committee once sent some anti-racism activists to talk to our school staff and all they spoke about was white on black racism. I raised the point that some of my pupils had been called white trash by members of a certain Asian minority group, and I drew the conclusion that there can be anti-white racism . The anti-racism activists looked at each other and one said, "Well there is that." Then they quickly went on to the next questioner, at the opposite side of the room. I was faced with professional anti-racists covering up racism. Political correctness is a source of much injustice. I almost forgot. The reference to an evil race could be allegorically tied to the race of Giants from Enoch, and not aimed at a race at all. Again, seeing racism where it is not exposed the person making the false claim. In this case it also might expose a lack of knowledge of Enoch. You have exposed a problem that exists, but oft denied. Those who find racism where it is not are, by their actions, the true racists. I have often been told there are no black racists, and until this is admitted to and accepted there will never be true harmony. Racists come from every race. We had a black retired professor come to the college for aa talk, in which he made he claim that the only slavery was the slavery against the blacks. He met opposition to this claim with mention of the Egyptian enslaving the Israelites. He denied this ever existed. So,who is the racist in this scenario? Yet this was published for all to reread, and some faculty thanked the person who invited him. Then, there is perceived racism that may be something far worse. I see hispanics being disliked as what could be racism, but think it has to do with their religion as much as anything. In this area Catholics do well, but there are undertones of religious intolerance elsewhere in the U. S., and this might also be a subliminal reason for the attack on Tolkien. It would have to be disguised, and packaged as racism. Well said, Jennifer. You have identified some key ideas. Is Thirteen (Volume One) the Scariest Horror Book Ever Written? Viral internet marketing campaign, meme or reality? That's the question that people are asking as they stumble upon a very frightening story; and the reports about its readers.